Four marginal seats on the Frankston railway line that changed hands at the last election will play a crucial role in deciding who will govern Victoria for the next four years. Well it's time the media take more notice of voters in so-called safe seats. In the seat of Sandringham, an invigorated and resurgent ALP is putting on one of its strongest campaigns. Sandringham is not classified as a marginal seat now but after the election it will be. Christina Zigouras will make it a marginal Labor seat. 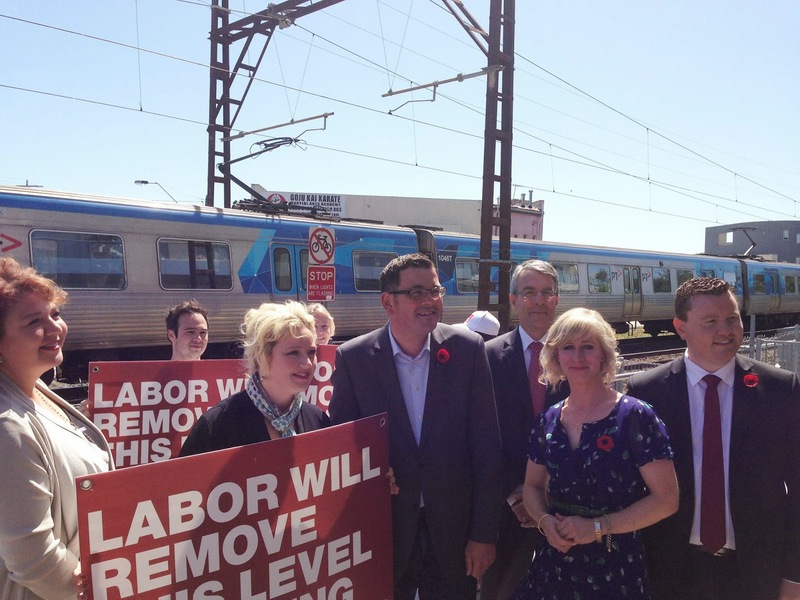 Two Frankston line level crossings with the worst congestion are in our electorate at Mentone and Cheltenham. Daniel Andrews has committed to their removal. There has been the usual deafening silence form the local Liberal member. As it gets more desperate, we can expect the Napthine government to copy Labor's program of removing 50 level crossings, just as it is playing catchup on schools. Incidentally, has anyone seen Murray Thompson lately? He was a no-show at the Bayside candidates forum last Friday and the Bayside education forum on Monday. Our democracy deserves better than a sit-down sitting parliamentarian. It's time for 22 years of inaction to come to a close. Every polling booth, including the pre-polling at Shop 3, 116 Balcombe Road Mentone, will have Labor people with How-to-Vote cards. Please ring us if there are any glitches. Public transport is only one of many issues that have been ignored by the local Libs. Labor is committed to making Beaumaris a stand-alone 7-12 secondary college. Now that there's the sniff of defeat, the government has discovered areas such school funding and residential rezoning. I can just say to Murray - too late mate! Christina is online at Facebook, Twitter and her website. The Next Leader of the Victorian Liberals, Not!